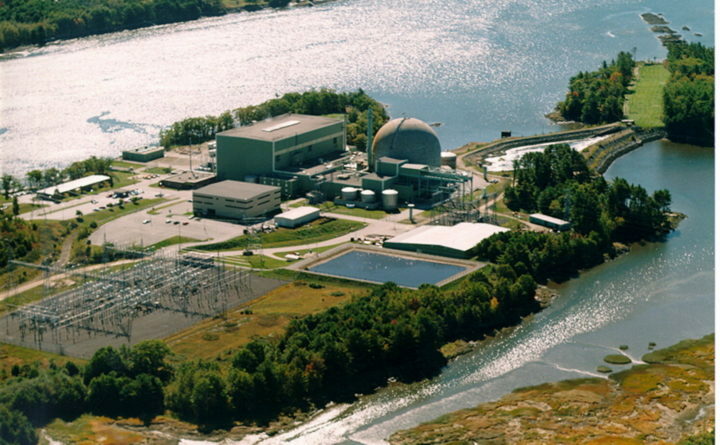 An aerial view of the Maine Yankee Atomic Power Plant in Wiscasset as it appeared during its heyday in the 1980s and 1990s. 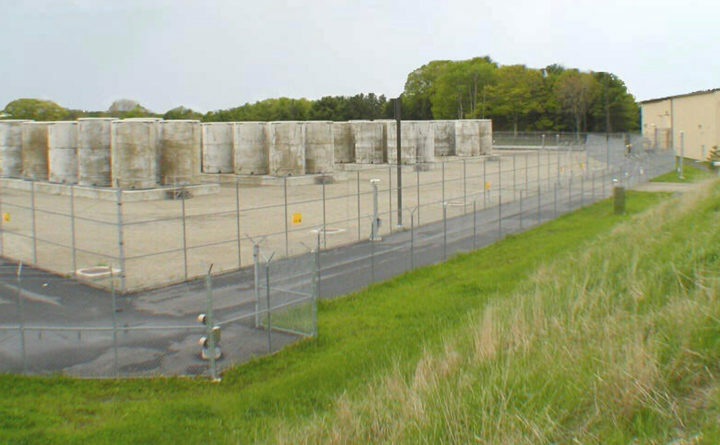 Some of the cylindrical steel-lined concrete containers that comprise the spent fuel storage facility at Maine Yankee in Wiscasset. A new proposal by President Donald Trump’s administration to reclassify some high-level nuclear waste to reduce cleanup costs will not affect the 550 metric tons of spent nuclear fuel stored in more than 60 airtight steel canisters near the former Maine Yankee nuclear reactor in Wiscasset. The new proposal focuses on waste generated by nuclear weapons, not power plants. But Mainers tasked with advocating for safe handling of atomic waste voiced concern that it could foretell changes that would affect the Maine Yankee waste. The U.S. Department of Energy has proposed reclassifying some high-level radioactive waste in various U.S. locations to low-level, allowing the department to leave the waste buried in the ground and save $40 billion in cleanup costs, the Associated Press reported Tuesday. Per the Atomic Energy Act of 1954 and the Nuclear Waste Policy of 1982, high-level radioactive waste is currently defined as waste resulting from processing irradiated nuclear fuel that is highly radioactive. Shadis said the proposal would not affect waste at the former Maine Yankee plant, which closed in 1996. Trump’s current proposal would only affect high-level radioactive waste generated by nuclear weapons production — currently stored in South Carolina, Idaho, Washington and New York — not waste generated by civilian nuclear production. According to Shadis, industry officials and regulators have insisted since the beginning of the nuclear age that civilian nuclear production and weapons production for defense have nothing to do with each other. They are not integrated in any way and are handled separately. In fact, waste generated by civilian nuclear reactors is regulated by the U.S. Nuclear Regulatory Commission. Eric Howes, spokesman for Maine Yankee, said Tuesday he is not aware of any proposals to reclassify waste stored at Maine Yankee. A federal judge has already awarded Maine Yankee $24.6 million in a decision based on the federal government’s failure to remove and dispose of the spent nuclear fuel. Previous administrations have said “stranded” nuclear waste — hazardous materials stored where there is no operating nuclear plant such as Maine Yankee, Yankee Rowe in Massachusetts and several others — would be the first to be removed, according to Hudson. But he said he isn’t holding his breath.